Get ready to learn a whole lot more about the only borough with the good sense to actually be attached to the mainland. 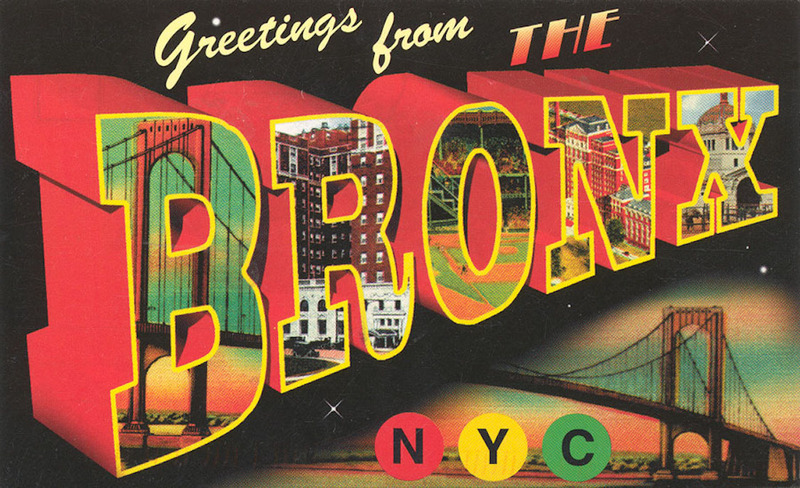 The Bronx is perhaps New York City’s most misunderstood borough and the one with the longest relationship with the city. It became a part of New York long before Brooklyn, Queens or Staten Island. Over the next month we hope to help illuminate some aspects of its history that you may not have known or may have forgotten. Over the next five weeks, we will release three new podcasts that explore this borough’s rich and surprising history — from the first European settlers in the 17th century to life after the 1970s. In addition, the blog will mostly be focused on little stories of Bronx history, focusing on landmarks within the Bronx itself where you can experience history for yourself. Jonas Bronck, Gouverneur Morris, City Island, The Grand Concourse, Edgar Allan Poe, Wave Hill, Woodlawn Cemetery, the Bronx Zoo, Hart Island, Orchard Beach, the Cross-Bronx Expressway, the Blackout of 1977, the birth of hip hop and of course the New York Yankees. It’s all on the way! It’s all in honor of the 175th anniversary of what many consider to be the most important moment in the history of the Bronx — the opening of the first depot of the New York and Harlem Railroad at the village of Fordham in October 1841.